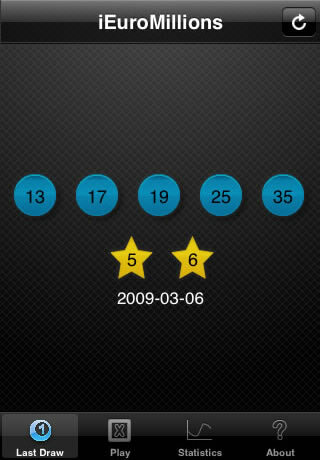 Here you can check the latest results for the Euromillions. 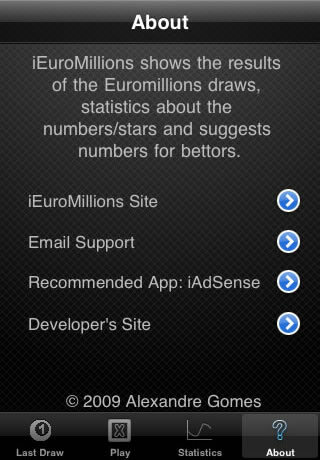 This list is updated every week as soon as the results are published, at the same time as the iEuroMillions iPhone App is updated. 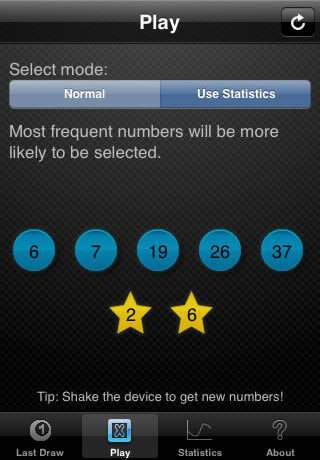 Google Adsense reports directly on your iPhone! Learn foreign languages while playing games on your Android. Disclaimer: iEuroMillions and this web site is not affiliated or supported by my employer.